There is nothing new about our criminophilia. We have been telling crime stories for a few thousand years now. Oedipus Rex is often called the first detective story. Even courtroom dramas like my latest, Defending Jacob, can be traced back to Plato. (Grisham fans, take note.) Crime fiction is about as durable a genre as we have. Why? What do we see in these stories? Why do they resonate so deeply with us? It is not an answerable question, of course, and I don’t propose to try, at least not in a scientific way. No doubt the answer would be different for everyone, anyway. A different balance of escapism, titillation, the perverse but natural attraction of danger, and the inherent drama of crime — so rich in conflict and action. Who knows? In any event, surely no single explanation will do. But I would like to share with you a formulation that I came across when I was beginning to think about Defending Jacob: “bad men do what good men dream.” (The phrase seems to originate with a forensic psychiatrist named Robert I. Simon.) Like all aphorisms, it is a little too neat. It oversimplifies. And it also rings true. Bad men do what good men dream. In Defending Jacob I wanted to explore that idea. I wanted to narrow the gap between my audience and the fantasy world where they imagined crime takes place — between the good men who dream and the bad men who do. No more baddies in the inner city, as in my first book, Mission Flats. No more infamous villains like the Boston Strangler, as in my second. I wanted this criminal to be real, to be ordinary, just like us. And if I could not define precisely what “ordinary” and “us” might mean, because readers come in all shapes and sizes, I could at least define a world that looks like my own. 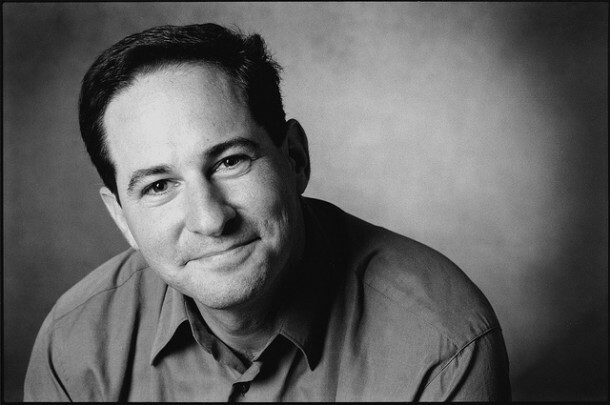 Andy Barber, the narrator and protagonist of Defending Jacob, attended Yale, became a prosecutor in Middlesex County near Boston, and lives in Newton, Massachusetts — all qualities I share. Andy is not me, of course. The story-writing process is not that simple. And thankfully my two little boys are not Jacob Barber, the teenage boy accused of murder in my story. But my family and I are not so very different from the Barbers, and neither, I’d bet, are you. 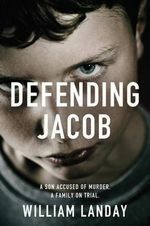 Defending Jacob grew out of another novel that I began about four years ago as a follow-up to The Strangler, my last book. The Strangler, you may remember if you are among the seven people who actually read it, was about the criminal underworld in Boston in the early 1960s. I had an idea I would follow it with a similar book set in the Boston crime world of the 1970s, another fever swamp of corruption and hard crime. But the writing dragged, and when my editor’s patience finally ran out, she summoned me to New York for a face-to-face meeting in order to pronounce the project dead. (Wise woman.) She suggested, “Why don’t you start again. Write something closer to your own life and your own heart?” So I dissected the cadaver of my dead book, extracted a promising story line, and adapted it to the present day and to my own suburban world — a story about an ordinary father, a prosecutor, whose son is accused of stabbing a schoolmate to death. I think the success of the book comes down to that question of what crime novels teach us about ourselves. Why do we do the things we do? The classic formulation of these discussions is “nature versus nurture,” and the Barber family makes an interesting test case. Because in Jacob Barber we have a boy whose violence — if indeed he is violent, which is not at all clear in the novel — cannot be explained by his environment. So, to his bereft parents and his dogged pursuers, the question arises: might Jacob have inherited a violent streak? Might he be hardwired for it? Might it be nature, not nurture, in this case? It is an opportune moment to ask the question because we are only now discovering — through the sequencing of the human genome, among other ways — the precise biological mechanisms that might explain how such behaviors could have a physiological cause. How we might be hardwired to behave in certain ways. I can’t say much more without spoiling the story for you, so I’ll stop there. Suffice it to say that Defending Jacob raises the possibility that we have always held a thumb on the scale for “nurture” for the simple reason that we have never had the scientific means to study its opposite. A final word: looking back on all this, I seem to have left the impression that Defending Jacob is a sterile, “issues” sort of book — a boring inquiry into this or that. It is not. My goal in writing it, first and foremost, was to tell a good story. Whether I’ve accomplished that or not isn’t for me to judge. But if you come to Defending Jacob looking for a ripping good story and to hell with all these Very Deep Thoughts, well, you won’t be disappointed, I hope. But if you’re looking for more, you may find it, too.